In France, the first of the season’s Beaujolais nouveau—a famous, fruity young red wine made from Gamay grapes that is fermented for only a few weeks—is uncorked at midnight on the third Thursday of November and greeted with much fanfare and revelry. 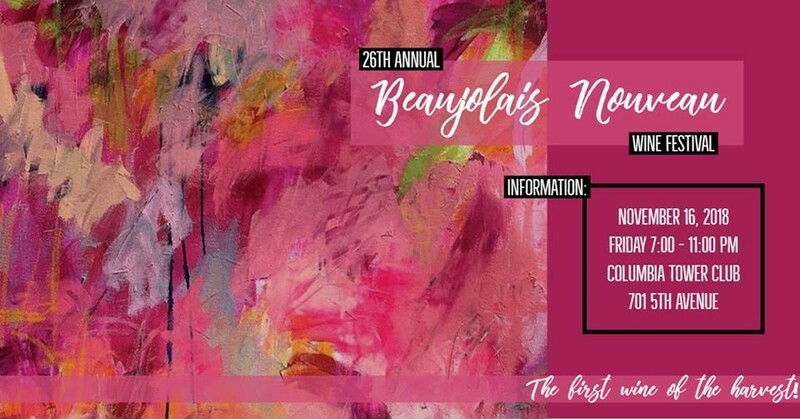 Even if you can’t make it to France, you can have the same experience with Seattle’s own Beaujolais Nouveau Wine Festival, hosted by the French-American Chamber of Commerce of the Pacific Northwest. Quaff Beaujolais nouveau as well as a host of other French wines, partake in a buffet of French cuisine, and take in live French music.